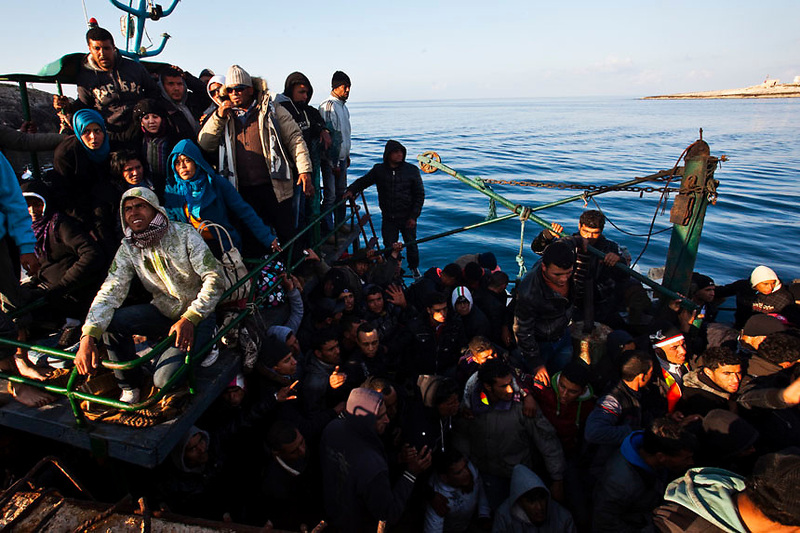 An Illegal boat transporting nearly 140 immigrants approaches the Island of Lampedusa. Despite the efforts of italian government who evacuated more 600 northen african refugees yesterday by the S. Marco ship, boats continues to attrack in the Island making the situation worser worser. The portual area of Lampedusa has become a second open air immigration centre where immigrants living in critical igenic and sanitary conditions..